Here at www.shopcookware.ie we supply a large range of Magimix Appliances through our www.shopcookware.ie website. 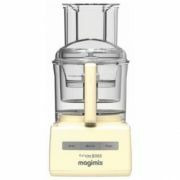 Originally established as a pioneer food processor manufacturer in France over 35 years ago, Magimix appliances were the brainchild of a Pierre Verdan, who was a salesman for a French catering company at the time. In the course of his work he noted how much time his clients spent in the kitchen on tasks such as chopping and shredding. Seeing this, he started thinking of a solution to this problem and came up with Magimix patent. 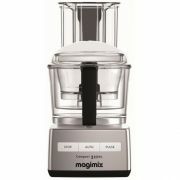 Today, the Magimix kitchen appliance design remains essentially the same, the thinking being ‘if something isn’t broken why fix it?’ It is easy to see why celebrity chefs, cooking schools and food writers continue to recommend this line of appliances year after year - there are few other products that come close in terms of reliability and lifespan. As an added bonus, each Magimix product boasts a 12 year guarantee and supplementary 3 year guarantee on parts. With so many makes and models available, consumers are frequently at a loss as to which particular appliance to choose. Well, luckily the only thing you have to bear in mind when purchasing a Magimix is what size you need. A good rule of thumb to follow is: A Magimix 3200 is sufficient to prepare meals for 3 to 4 people. A Magimix 4200 is the better option if you have a family between 4 to 5 people. 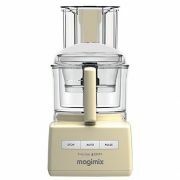 A Magimix 5200 is what you need if you do large batch food preparation or have a family larger than 5 people. Whatever model you ultimately choose, you can rest assured that it will blend in seamlessly with the rest of your appliances and kitchen décor. 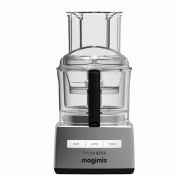 Designed in an ergonomic way that saves on countertop space, a Magimix is the perfect solution if you have limited counter space and cannot afford to have a bulky piece of machinery in the way as you go about your business. As far as kitchen appliances go, the Magimix cannot be beat in terms of efficiency and sheer longevity. Invest in Magimix appliances today and reap the benefits for years to come.